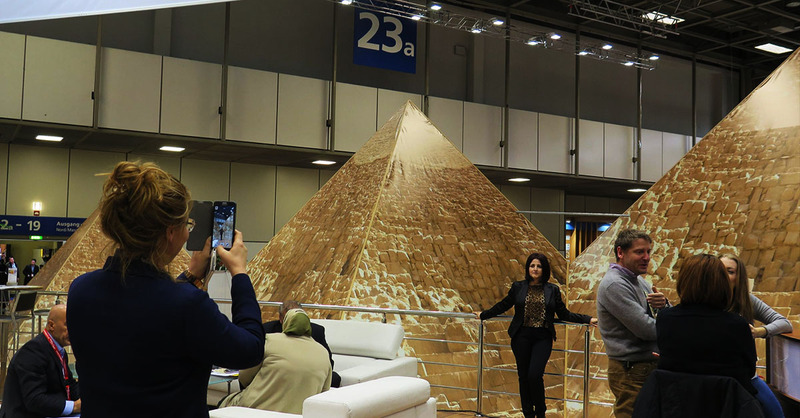 Tourism convention International Tourismus-Börse (ITB) Berlin has left Egypt off its list of top 50 countries to visit, privately-owned Al-Shorouk reported. The tourism convention, widely regarded as one of the most important tourism events in the world, compiled a list of 50 recommended travel destinations in honor of its 50th anniversary, but snubbed Egypt from the list in light of the country’s recent struggles with security. ITB’s decision to leave Egypt off the list comes despite the fact that Egypt was the convention’s Jubilee Cultural Sponsor and was later chosen as the recipient of the ‘Best Exhibitor Award’ at this year’s convention. The most recent edition of the convention took place earlier this month, where Tourism Minister Hesham Zaazou headed the Egyptian delegation. Zaazou came under fire for choosing to play a promotional video showing “simple” Egyptians, including a man on a donkey cart in Luxor who could no longer provide food for his family as a result of the waning tourism industry. Many in the tourism industry criticized the ministry for his choice, saying that the content of the video was insulting to Egyptians and amounted to beggary. The minister said that the idea behind the video was to show that tourism in Egypt is not all about tourism companies and luxury hotels, but also comprises simple workers. Egypt’s tourism has been significantly struggling over the past several months, largely due to a series of security-related incidents that have scared off many tourists wishing to visit the country, including the “accidental” killing of 12 Mexican tourists and their Egyptian guides in the Western Desert in September 2015, as well as the downing of a Russian passenger plane one month later. International airlines and travel agencies have halted flights and bookings to Egypt in light of the Russian plane crash, citing security concerns. Earlier this month, British travel agency Thomas Cook announced it would extend its cancelation of bookings to Egypt’s Sharm El Sheikh until October 31. Last month, the head of the Egyptian Tourism Authority (ETA) announced that Italian tourism bookings to Egypt during the upcoming summer season have dropped by 90 percent in comparison to last year, in light of the torture and murder of Italian PhD student Giulio Regeni in Cairo. The chief tax collector in Egypt’s Red Sea governorate also told privately-owned Al-Masry Al-Youm that tourism-related tax revenues dropped 80 percent in the governorate in the wake of the downing of a Russian passenger plane over Sinai last October. The drop in tourism revenues is also one of the main factors contributing to the country’s current foreign currency crisis. Since the 2011 ouster of Hosni Mubarak, foreign reserves have gone down more than 50 percent, from USD 36 billion to USD 16.477 billion as of January of this year.